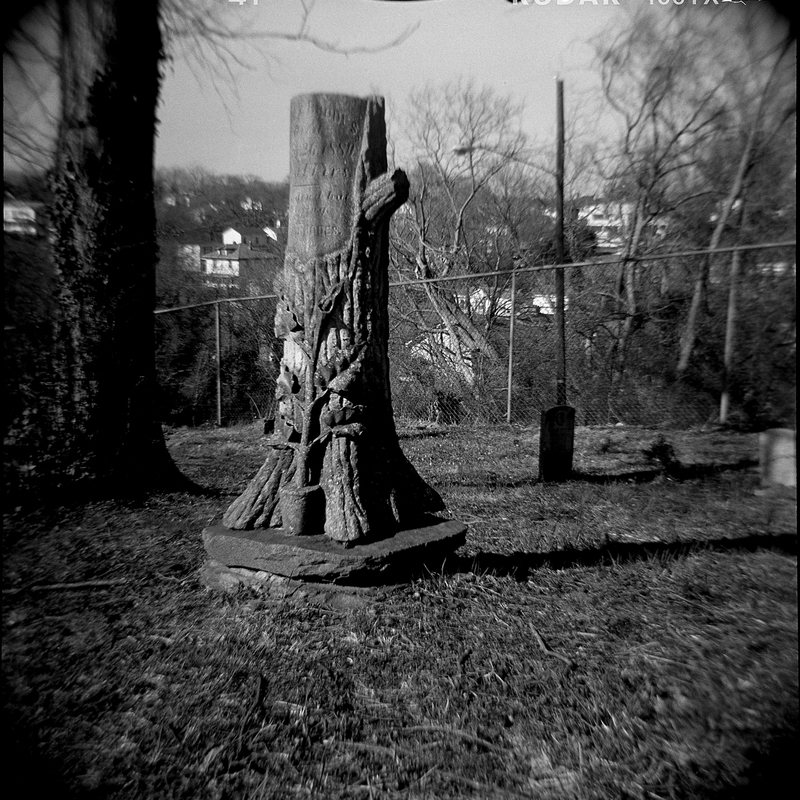 Lomography Society Diana F+ Kodak Tri-X Professional Arista 76 1:1 - An interesting Grave marker in the Old City Cemetery in Lynchburg Va.. 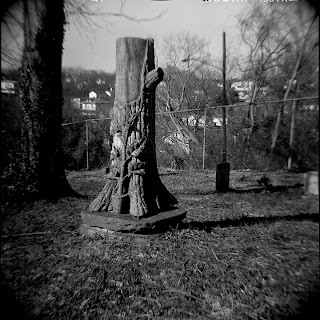 Reminds me of the trees that come to life in the Lord of the rings, or a Hobbits lawn monument. Scanned with and Epson V500 using Epson's OEM Software.